Test the outlet before you plug in your expensive gear. 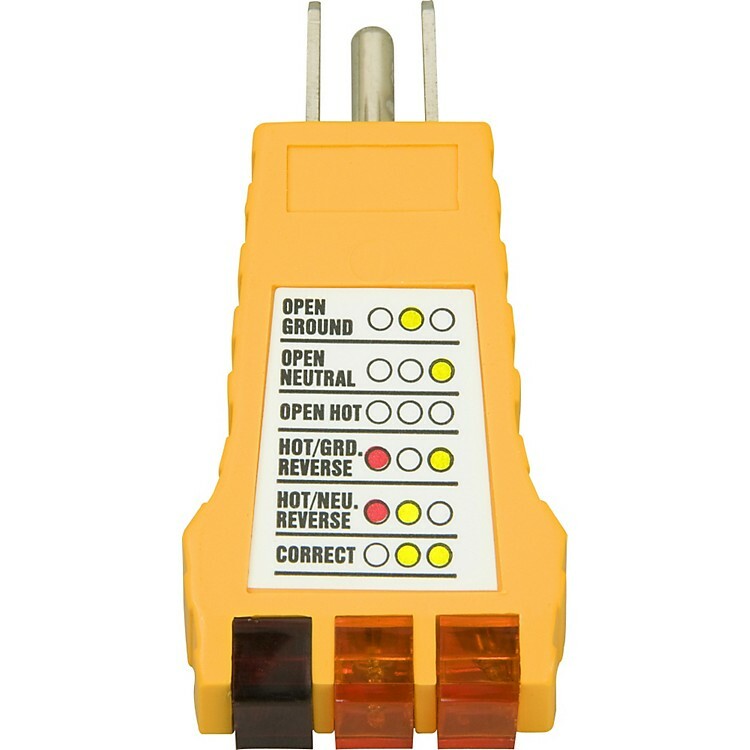 Simply plug in this outlet tester and watch the red and amber indicators. Detects faulty wiring in 3-prong outlets. Plug in the receptacle tester for quick verification of your outlet's electrical circuit condition. It uses simple indicator lights (two amber, one red) to let you know if your circuit is operating correctly and is safe for use with your gear. Pre-emptively protect your gear by adding this to your rig setup. Order today.